Not everyone is looking forward to a hectic Monday schedule while enjoying their time off during the weekend. However, since you can’t stop time from crawling forward, you need to gear up for another long work week by taking steps to ensure that you won’t be swamped by your schedule. Here are a few effective tips that you can do to manage your time in order to prepare for Monday. 1. Create a List – Before Monday comes along you should make a list of the top three things you want to accomplish so you will have a goal in mind come the start of the work week. You can also create a plan on how best to achieve these things so you can start your Monday effortlessly. 2. Prepare Your Tools – Prepare all the tools and files you will need for the day so you can jump right in your work once Monday comes. 3. Adjust your E-mail Settings – E-mail notifications do come in handy from time to time but they can also be a source of distraction for you especially when you have a hectic Monday schedule. Turning it off and only checking it during your break can help you focus on your work. Adding filter to your e-mail can save you from going through junk mail. 4. Assign Tasks – If you are working with a team don’t forget to delegate tasks. Let your other teammates help you complete the project. 5. Organize your Paperwork – You can easily handle your Monday work schedule provided that you have an effective communication with your people. If you will be working with various documents make sure that you put them into two separate groups: one for your “to do” file and the other for your “to file” documents. 6. Prioritize – So you’ve created a list of things you should do on a Monday which is good way to start your day. However, you should also learn how to prioritize so you won’t waste time jumping from one task to the other without finishing them first. 7. Manage Meetings – Meetings are sure to be held on a Monday and if you have several to attend to make sure that you have prepared everything that you will need so you can breeze through them without wasting time putting together your files or equipment in just a short time. 8. Keep a Record – If you really want to manage your time before hectic Monday arrives, keep a record of the things that you do within the day and see for yourself where you spend most of your time. It may be that you’re spending hours just checking your e-mail or your social media accounts. What you need to do is to change your habits so you can properly delegate your time according to your work needs. 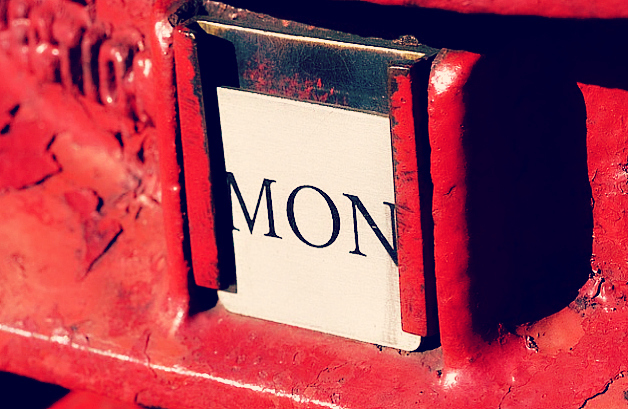 What other tips can you come up with to help prepare for a hectic Monday schedule? Feel free to share it with us below.